By 1911, the order of the Missionary Oblates of Mary Immaculate (OMI) had already contributed a half-century of service to British Columbia, establishing missions, churches, hospitals, and schools throughout the province. Having built Holy Rosary Cathedral and three parishes in Vancouver, the Oblates were then invited to establish a fourth parish in the Fairview-Kitsilano district of the city. The church, parish hall and school originally occupied the same building, located on the corner of Arbutus Street and West 7th Avenue. The parish hall was in the basement, and the school was on the first floor. The church was located on the top floor, 42 steps from street level. The corner stone of the current church was blessed in 1931, and the building completed in 1932. 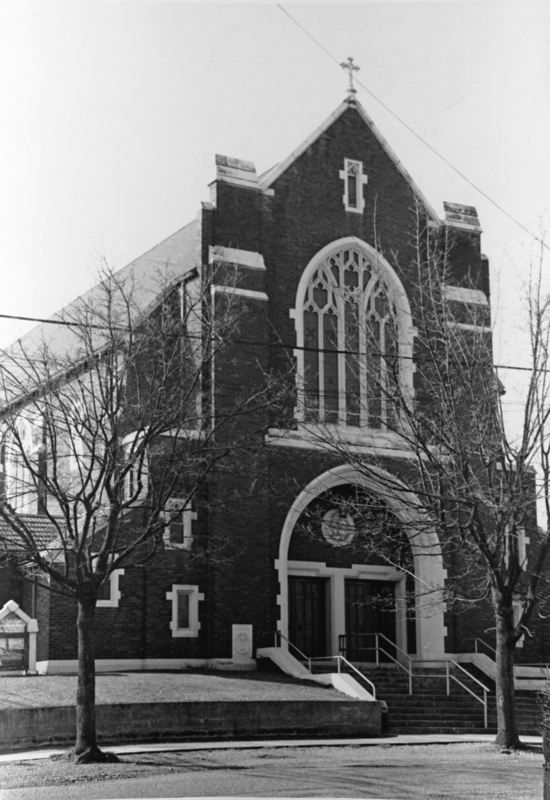 The church, which was modelled after a church in Bruges, is located on the corner of Maple St. and West 7th Ave. The Oblates also constructed a rectory which housed the Parish offices as well as a residence for the Oblate Fathers on the corner of Maple St. and West 8th Ave. A fire in the choir loft in June of 1980 caused extensive damage and Masses were once again held in the newly renovated church in April 1981. Construction began on the new Parish Centre In 1997, and upon completion in 1998, the parish office and administrative services were moved from the Oblate Rectory into the newly constructed space. The Rectory, now known as Pandosy Place, has continued to function as a residence for retired Oblate priests, some of whom frequently assist with liturgical celebrations in the Parish.